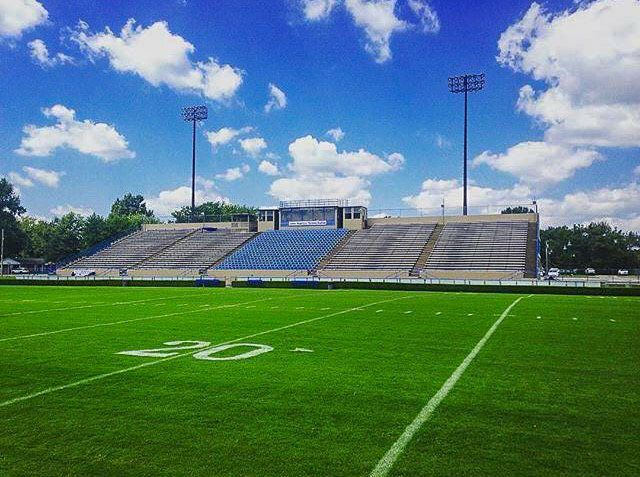 Comments: James "Shadetree" Matthews Stadium was built in 1966 and is named after legendary Franklin-Simpson Coach James Matthews. The stadium seats 4,500 people and has been recently renovated with a new concession stand, Football Fieldhouse, Brand New Away stand, and a paint job for the main grandstand. Home to the 3 time state champs (1979,1980, 2017), The stadium is one of the largest in South-Central Kentucky and on Friday nights is one of the toughest to play in too. Opening Night, Homecoming, Senior Night, and the many playoff games often bring the stadium towards capacity. Fans are very knowledgeable and are very invested into games and the football program. Overall, a very nice facility and a great place to watch some football.